I thought I'd go thrifting last week, more for a browse as I haven't been as regularly as I used to. In the Cancer Research shop, I passed up on some Paul & Joe Sister checked trousers as they were too small and some Joseph trousers had a slight tear in them by their previous owner. I then went on to the British Heart Foundation, where I found a pair of Marc Jacobs trousers. I tried these on, but they were made for a 6 foot model-very long, very wide and with a slight stain down the front, so these went back on the rail. As a last look, I spied this shorts jumpsuit-according to the Guardian and also judging by Topshops range, they are still very much in trend. And the label I found? Well, I was 80% certain, but McQ, was surely the 'L'Enfant Terrible's' Diffusion collection, wasn't it? I thought I'd try it on and if it fitted, I'd take a chance and buy it, well for £4.80 it was well worth it. When I got home, I checked out Net-A-Porter and yes, indeed, it was Alexander McQueens Diffusion line, McQ!! 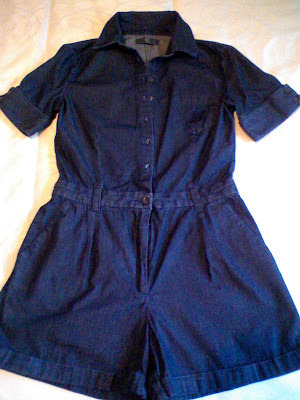 I may try and wear it this winter with opaque tights and a cardi but it will definitely be worn in summer too. So, if you are prepared to rummage, Designer goodies can be discovered at the Charity shops-please believe that it's not a myth!! Great buy here... and yes you are right, jumpsuits are so in now. Perfect find and a great buy. do wear with tights and a jumper underneath and then add a belt! Being old and a novice to fashion, I'm glad you'll take a picture when you wear it. It's hard for me to visualize but NOT hard to know you'll come up with a great looking outfit. I'm going to look up McQ. Wonder if I've overlooked a LOT of treasures. wow..love the idea with the tights..and boots too. Boots..boots..boots. I love the BHF shops - they are the best. All laid out in size order. Very groovy baby, love it! I have wanted one forever, and that is the BEST way to find things, a happy discovery! Can't wait what else you come across! Only £4.80 for a McQ? Sounds like a great buy. Wow, you really find the most amazing things! I envy you! I am forever stunned by your finds.I honestly think that next time I'm in the UK, I should go out of the city and check the charity shops there, because all I find in London and Glasgow are overpriced garments. 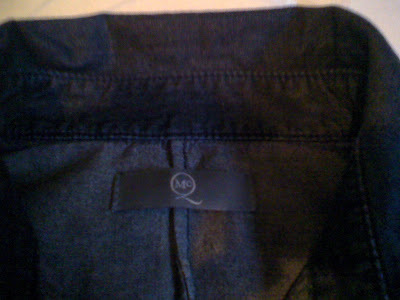 McQ is a great label by the way... very well-made. I have quite a few of the pieces (all bought during sales of course!). That's going to look great on you, I know it! Hi everyone-I'm so pleased with all of your lovely comments, thanks so much to you all! I love that denim jumper, that is 100% Sharon! Wow, amazing find! I'd be jumping up and down if I found a McQueen piece! 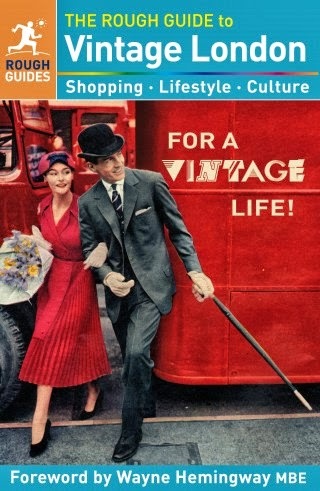 definitely I need to go with you shopping some day! 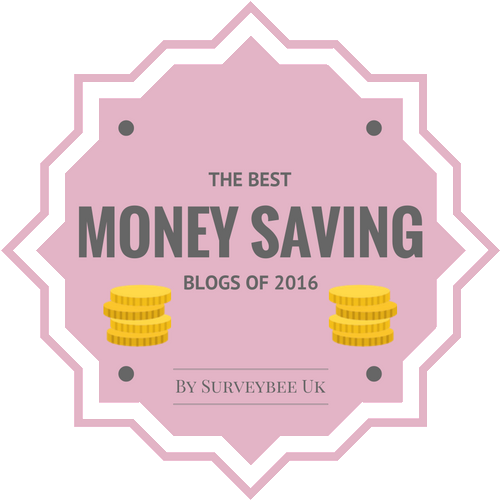 you are the best bargain-finder ever! Hi Sharon, thanks for visiting with me! I love that black pencil skirt you found, I'm sure it'll become a wardrobe basic for you. I love wearing black and white it feels so crisp. I think of myself as being fairly up to date when it comes to fashion BUT I had never heard of Nicole Farhi until yesterday when I watched Mary Queen of Shops. I love that show! Fabulous jumpsuit! I love the color. Looks very Paris street style I think ... chic! Hi everyone-thanks for the lovely comments, much appreciated! Hope you have fun with the jumper and will show us how this works into your wardrobe. Ahhh....so envious of all your fab finds...your closet is a treasure trove. And I'm normally quite suss when it comes to jumpers but this lil beauty I'd take in a heartbeat. Cannot wait to see you rock it! The rummage is always the fun bit! great find darling,you find the yummiest bits doll! WOW! What a bargain... I am actually green right now! I have been looking for one of those for a long time and I would die if I ever found one for THAT price. Hi everyone-thanks for all your fab comments, so kind of you all!